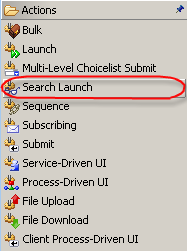 The Lookup menu item should be associated with SearchLaunchAction. 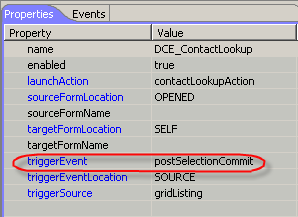 The Launch action should have a Data Communication Element that returns data from a listing form when ‘postSelectionCommit’ event is fired by the Grid control on the launched form. 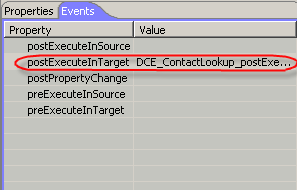 The Lookup Control is set to lookedUp if the data models targeted by the DCE are updated after lookup. The lookedUp property status is visually reflected by a green checkmark icon displayed over the lookup glasses. The following step by step example illustrates how to use the Lookup control. Our goal is to allow the user to enter in the textbox part of the contact’s first name. 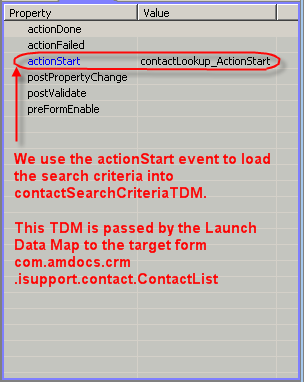 Upon clicking on the Lookup Button, Its corresponding Search Launch Action will invoke the Search Contact form and set its search criteria to look for a contact whose first name starts with the entered string. If the Search Contact form finds a single record, the Search Contact form will remain invisible and immediately return back to the Lookup form while passing selected fields of the found contact record using CDE (Communication Data Elements). If more than a single record is found, the Search Contact Form will be opened displaying a list of records which address the query. The user can then manually select any of the displayed records and click the Grids ‘Select’ button to pass the information back to the calling form. 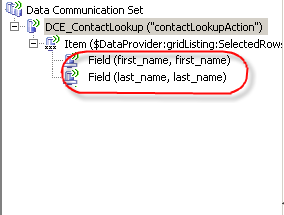 The data returned to the calling form (the one which contains the LookUp button) should contain the found contact’s first and last names (first_name, last_Name). The returned data for first_name and last_name will be formatted to construct a single field which contains the user full name. 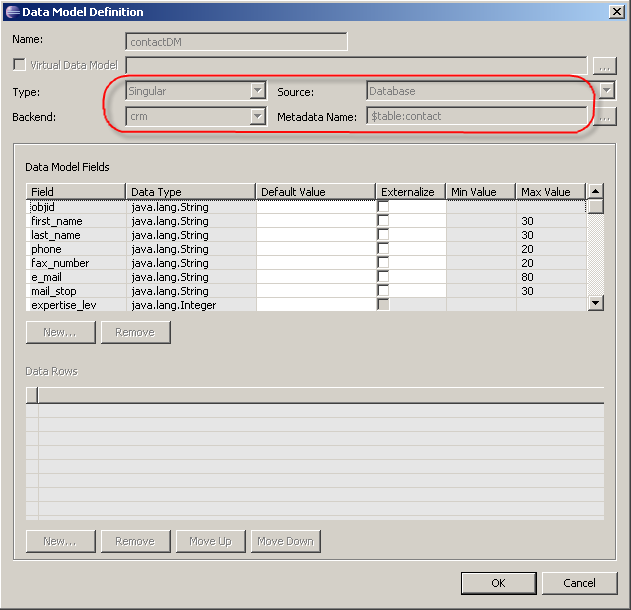 This field (‘formatted_name”) is part of the contactDM Data Model and is bound to the textbox “txtContactName”. 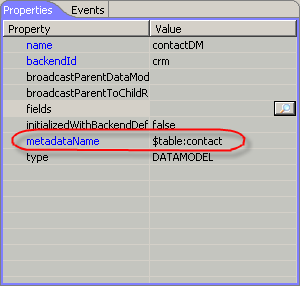 When updated with the full name, the contatDM field will be immediately rendered by the textbox. A. Add Controls on form’s panel. The triggerEvent sets the name of the event that triggers this DCE. 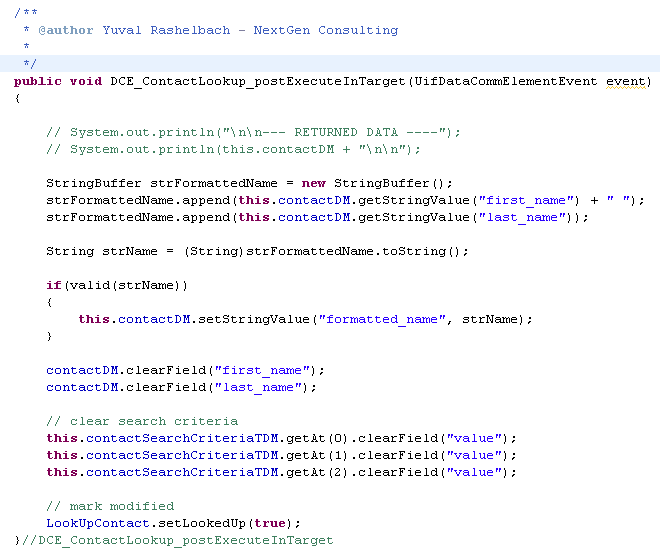 If the triggerSource property is not set, then this is considered as a user event which needs to be fired by the application code by calling DataCommSet.triggerEvent. 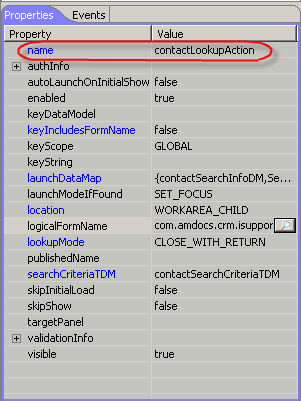 The DCE_ContactLookup_postExecuteInTarget event handler copies first_name and last_name fields values back to contactDM ‘formatted_name’ field value. The ‘formatted_name’ value is bound to the textbox ‘text’ property. This field will be populated with first and last names. The user enters first two letters of contact’s name. 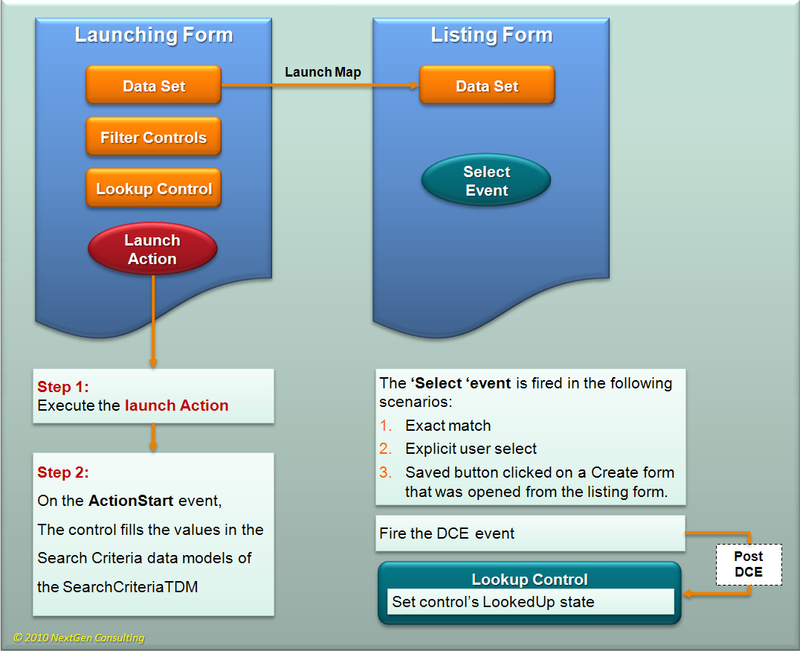 The Search Launch action launches the Search Contacts form and passes it the search criteria data model (first_name startsWith ‘yu’). The Search Contact form silently searches for contact’s first name that starts with ‘yu’ and find a single record that match these criteria. Records first and last names are passed back to the calling form by Data Communication Elements. 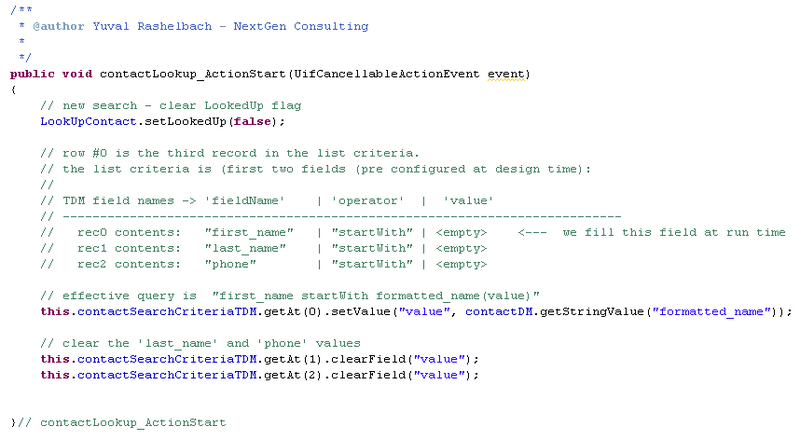 The calling form pass first_name and last_name to the contactDM field named formatted_name. The formatted_name is bound to the Contact Name textbox. Full name displayed. The LookedUp propery is set to ‘validated’. In the case, I don’t input data into textbox and I click button lookup then what is the result? It will display context list screen? In case, when you click the lookup button it may take the information from various data models. If the search criteria finds a single record, all details will be filled by the DCE. If the search does not find any record, it will show the relevant Search grid (search contacts). 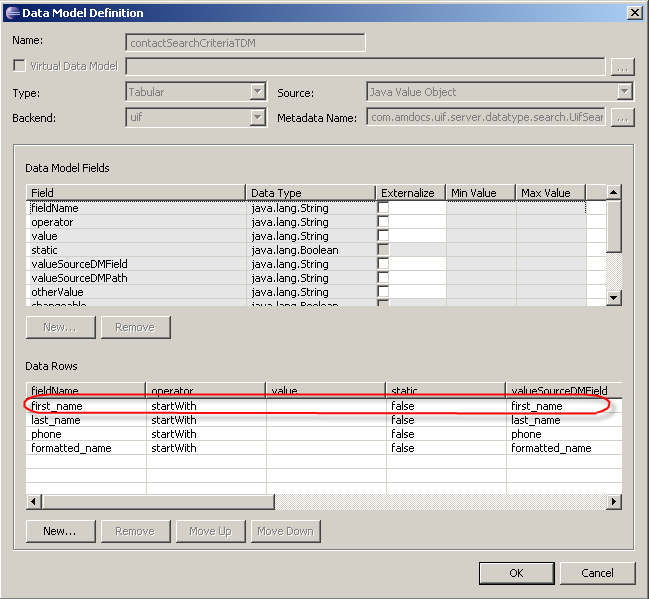 Textbox is only one way of providing input to related (bound) data model field. There are many other ways to feed this information (i.e programatically) and invoke the lookup control. A nice example for this is the CIM Find Caller functionality. This CimFindCaller form takes the search input, and pass the information to onother form (FindCaller Toolbar). The FindCaller Toolbar PROGRAMATICALLY invokes appropriate lookup search (Contact and Accound, Contact and Subscruption, Contact and Customer) using the above input. In other words, the input is provided programatically and is also used to select the search algorithm.